SCVHistory.com LW3125 | Film-Arts | Lantern Slide: Buck Jones in 'Stone of Silver Creek,' Placerita Canyon 1935. 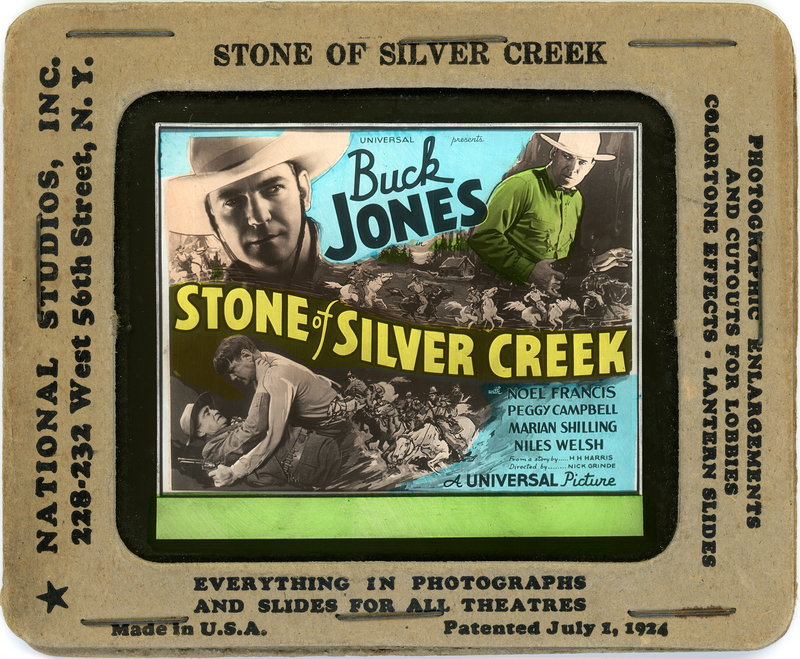 Magic lantern slide advertising the 1935 Buck Jones picture, "Stone of Silver Creek." Lantern slide by National Studios Inc. of New York, patented July 1, 1924. LW3125: 9600 dpi jpeg from original lantern slide purchased 2017 by Leon Worden.